PRESS RELEASE-LANTERN AWARD WINNER – Dupont Building, Inc.
Cameron Parish is proud to be home to Dupont Building, Inc., a recipient of Louisiana Economic Development’s 2017 Lantern Award. The annual award honors outstanding manufacturers from Louisiana’s eight regional planning and development districts. The state has honored more than 300 manufacturers since 1979 with this award. Award-winners are chosen for their excellence in manufacturing and their community involvement during the three years prior to the nomination. 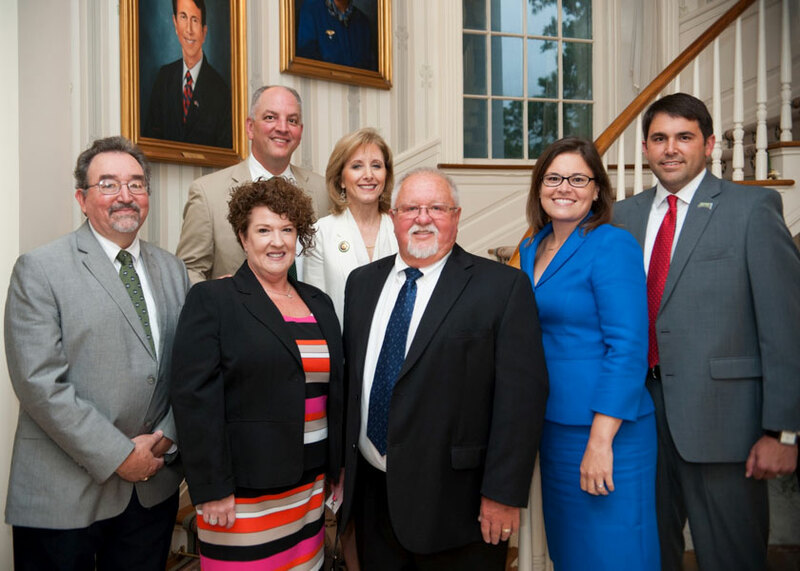 The award was presented June 6th at a reception at the Louisiana Governor’s Mansion. 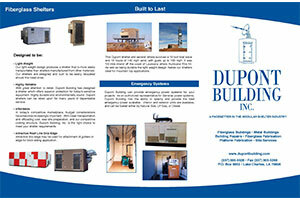 Dupont Building Inc. is a manufacturer of fiberglass, concrete-composite and steel interlocking-panel shelters, which are used in a variety of industries. In 1982, when Ricky Guidry was Chief Lending Officer at Cameron State Bank, Jim Dupont came to him for a loan to start a company based in Cameron, LA that would construct fiberglass buildings. Dupont recruited Ricky Guidry as manager for the facility in 1993. In 1995, Ricky and his wife Michelle purchased 20 percent of the company. In 1998 the Guidry’s purchased the remainder of Dupont Building Inc. operating the company at the facility that was one-half mile from the Gulf of Mexico. 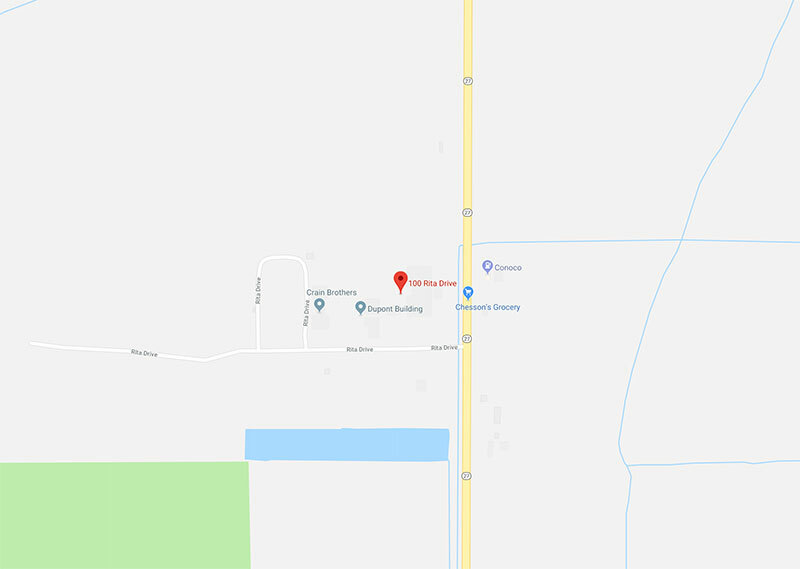 Thinking ahead, Ricky and Michelle had purchased land and developed an industrial park on Highway 27 near Sweet Lake, about 30 miles inland. They had the civil work done, intending to build a new facility there before the 2008 hurricane season. In September 2005 Hurricane Rita wiped away inventory, raw materials and buildings at the existing facility in Cameron. The Guidry’s opened an office at their home in Sweet Lake and set up the manufacturing operation on their farm. Their crews built structures in a large cattle barn, with employees living in tents and RVs on the farm. Ten months after Hurricane Rita, Dupont Building opened a 40,000-square-foot shop in the Cameron Prairie Industrial park. They rented a plane to find their inventory of fiberglass shelters, which were scattered in the marsh, then retrieved them and used them as temporary offices. Though money and space were tight, their customers were still buying, so the company quickly rebounded to its full employment of 60 employees and its pre-storm manufacturing capacity. The Guidry’s had secured an SBA disaster loan following the storm, and in 2009 they were awarded a loan and grant through the Louisiana Business Recovery Grant and Loan Program. The program’s funding intermediary, ECD/Hope, featured Dupont Building Inc. in its 2009 annual report, focusing on how Ricky and Michelle fought to begin again after the storm and help their employees survive. They bought land for home sites for the employees who lost homes to Rita, allowing these employees to then acquire the properties by payroll deduction. Last August, the company moved into a new office complex, completing the facility, which includes a fabrication shop, warehousing an operating facilities. Accepting the award on behalf of Dupont Building Inc. were the company’s President and Chief Financial Officer, Michelle Guidry and Executive Vice President, Ricky Guidry. 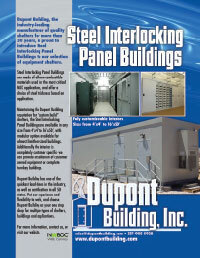 Congratulations to Dupont Building!